All The Phoenix homes currently listed for sale in Delray Beach as of 04/21/2019 are shown below. You can change the search criteria at any time by pressing the 'Change Search' button below. "Stunning open-concept condo located in fabulous 55+ community The Phoenix at Delray. This expansive home features luxe designer details including vaulted ceilings, ceramic tile, and upgraded lighting. Gourmet kitchen includes plenty of cabinet space with granite counters and stainless steel appliances. Spacious owner's suite features lanai access and large bathroom with separate shower. Covered lanai offers a sheltered spot for seating, dining, and outdoor entertaining. 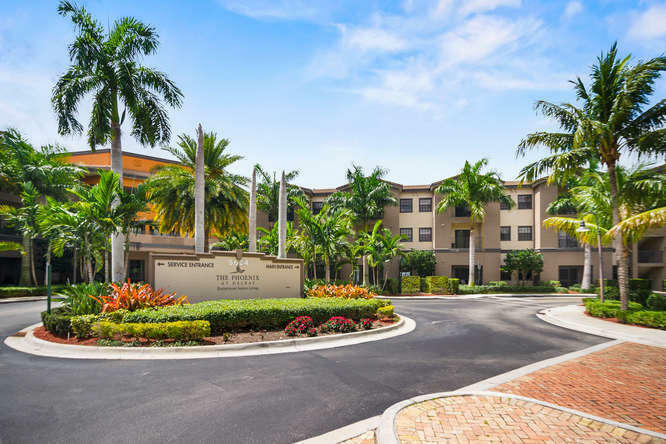 The Phoenix at Delray is the perfect place for independent seniors. Offering services designed to delight with dynamic dining, social and wellness programs to entertain and engage, every day is filled with positive experiences. Clubhouse, community and media room, exercise studio, and pool support your active lifestyle."